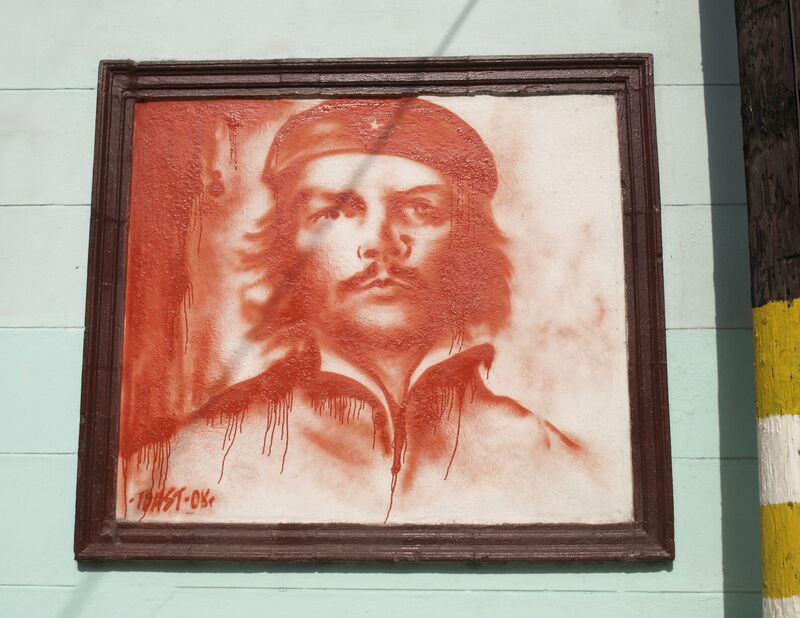 Graffity image of Che by ATA BOZACI aka “Toast” in Havana, Cuba. Shot with Olympus E-510. When I strolled streets of Havana back in 2009, I came across mural graffiti art, which was made by street artist Ata Bozaci aka TOAST, not known to me at that time. What struck me most about Toast was the way he portrayed Che Guevara as revolutionary icon of Cuban Revolution, who was hand in hand companion to Fidel Castro. There are many graffiti images of both of them on the walls in Havana, well Che and Fidel were both loved and in the same time hated by all Cubans. Despite the bittersweet truth, that Che was the nation’s favourite; Fidel remained being a living legend, up to very recently, when we learned that he sadly passed away. Nevertheless, Toast’s work was somehow very different from the others. It was sharp with the resonance of desperation for destiny and reminded me deep resilience of long suffering nation, which was rejected by USA and the whole Western World as an impact of embargo. Since my first visit, I have not traveled to Cuba again, but I am dying to know how much of a graffiti art has grown on the walls in the streets of Havana.